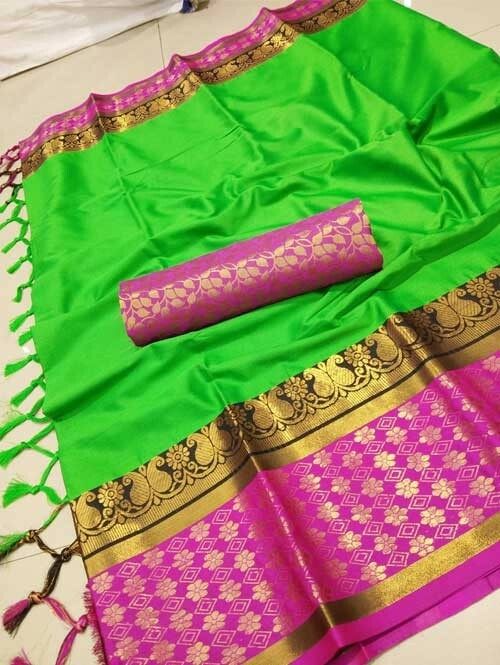 Traditional Saree, Has a Contrast Border Comes With a Blouse Piece This Beautiful Cotton Silk Saree in 8 Colors Have a beautiful Border Is Designed As Per The Latest Trends To Keep You In Sync With High Fashion. This Saree Has Pretty Amazing Color On All Over The Saree. 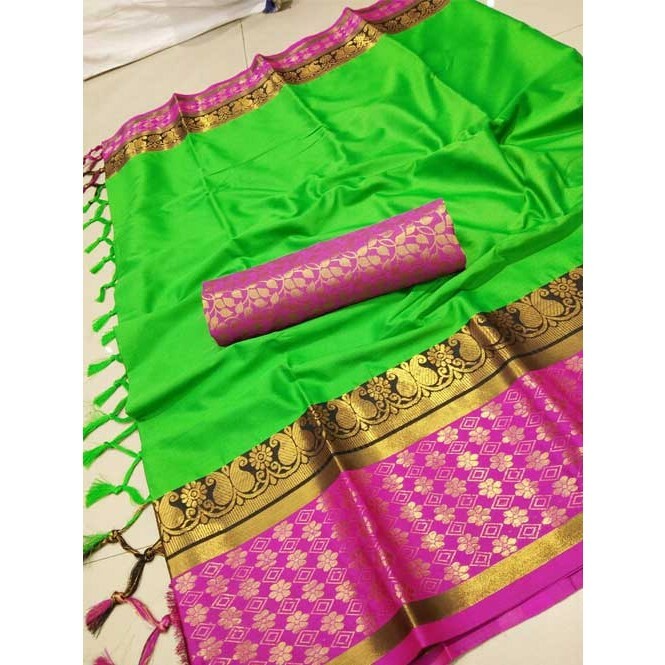 The Saree Is Fabricated In Comfortable Fabric, With The Blouse Piece. This Is Saree Perfectly And Made Up Of Good Quality Material. Can Wear At Any Party Wear Occasion And Get Together. Buy This Stylish Saree Now.